If you fill out the request appointment form on our website www.physiodublin.ie the personal data you have chosen to disclose is sent to us in an email. This may include your name, your email address, your telephone number and details of your injury or whatever you chose to enter on the contact form. You can visit our site anonymously also by not filling in a contact form. 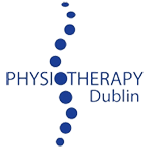 Non-personal data such as your IP address or statistics on your visit to the site www.physiodublin.ie including, number of page visits, duration of visits and length of time on the site are also provided to us. We may use the information you provide in contact forms to contact you in relation to appointment requests by email or telephone. We do not sell, trade or otherwise transfer to outside parties your personally identifiable data. We will never pass on your personally identifiable data to a third party without your express consent. Non-personal data provided to us is in no way personally traceable to you. We use such data to monitor the performance of the site, to gain insight into the content that our visitors find engaging and interesting and to continually strive to improve upon this content. Your personal data is stored on our secure servers. Transmission of data over the internet carries with it security risks and no server can claim to be 100% secure. We undertake however to take all reasonable steps to ensure your data is held securely and commit to informing you immediately if we become aware that any of your data has been stolen by a third party. As you browse www.physiodublin.ie advertising cookies will be placed on your computer so that we can understand what you are interested in. Our display advertising partners then enable us to present you with retargeting advertising on other sites based on your previous interaction with www.physiodublin.ie. The techniques our partners employ do not collect personal information such as your name, email address, postal address or telephone number. You can visit our advertising partners, AdRoll and Google’s, websites and opt out of targeted advertising if you wish.